“It’s a spectacular spectator sport. And it’s even more thrilling for the players. This is truly one of the most fabulous things I’ve ever done in my whole life.” The words are spoken by Marc Perreault, and he’s talking about snow polo, which celebrates it’s third year as a major attraction at Mont-Tremblant––something of a happening with an aristocratic flavour. Perreault is not just tossing around adjectives. The man has known his fair share of winter excitement. As a teenager, he was a member of Canada’s junior alpine team, and he won the Master’s world slalom championship at age 50 and 51. Polo is one of the oldest sports around, originating in central Asia some 2,500 years ago. Snow polo, however, is very new: the first official tournament was held in St. Moritz, Switzerland, in 1986, where the event now draws 15,000 spectators annually. After just three iterations, the organizers of Snow Polo Tremblant can certainly say, “mission accomplished.” With an economic impact of $3M as of the second year, and 60 million media impressions around the world in 2016, it has been a phenomenal success. People come from Toronto, Calgary and pretty much everywhere in Quebec to watch players from Norway, Luxembourg, France, Ghana, Argentina and, of course, Canada! The tournament takes place in March at the Gray Rocks airport. The event is free, but is also something of a jet set affair for the VIP clientele invited to attend a number of related activities. “Polo, furs and champagne go together at a snow polo gathering,” says executive producer Michèle Deslandes. A look at the sponsor list gives you an idea of the prestige of the event: Mackenzie Investments, Holt Renfrew/Ogilvy, Polo Blue by Ralph Lauren and Four Seasons Private Residences. 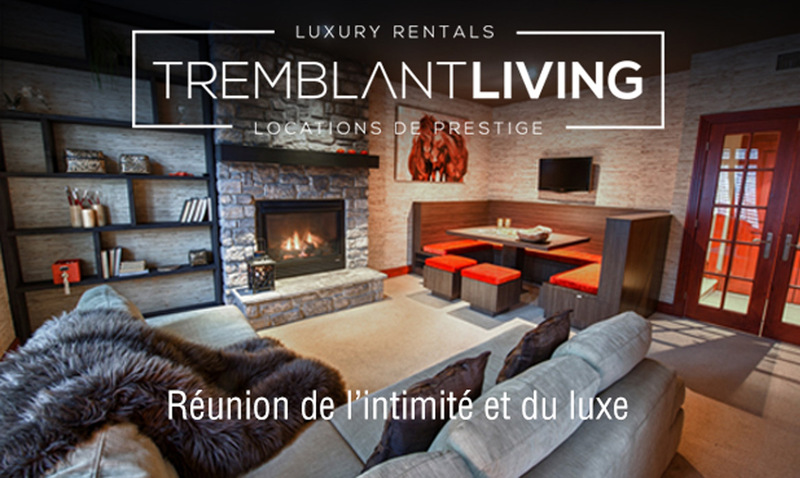 Naturally, the Tremblant Resort Association also supports the tournament, as do the Mont-Tremblant Casino, and many other partners. “Polo Blue even sent Ignacio ‘Nacho’ Figueras, international polo star and Ralph Lauren fragrance model, to train here,” says a visibly delighted Deslandes. Competing in the tournament are four teams of three players each. Riders change horses every seven minutes so the animals stay safe and healthy. About 30 horses are needed for each game. “The relationship between polo pony and rider is unique,” notes Marc Perreault. “Polo is a team sport played by humans and animals. When we get our horses ready for a match, they can sense what’s coming, and they get excited. A good polo pony can also intuit exactly where to be, within centimeters, when the rider prepares to make a move. “The power and elegance of horses running at full gallop is a thing of beauty,” he concludes, although clearly he could happily go on for hours!